While the benefits of ascorbic acid (vitamin C, ascorbate) as an essential nutrient are well established, its effects on tumor cells and in tumor treatment are controversial. In particular, conflicting data exist whether ascorbate may increase the cytotoxic effects of antineoplastic drugs or may rather exert adverse effects on drug sensitivity during cancer treatment. Findings are further obscured regarding the distinction between ascorbate and dehydroascorbate (DHA). Thus, the purpose of this study was to evaluate and directly compare the cytotoxic efficacy of ascorbate compared to DHA, and to analyse if ascorbate at pharmacological concentrations affects the efficacy of antineoplastic agents in prostate carcinoma cells. We directly compare the effects of ascorbate (supplied as ‘Pascorbin® solution for injection’) and DHA on tumor cell viability, and determine IC50 values for various cell lines. At concentrations well below the IC50, ascorbate effects on cell proliferation and cell cycle are analysed. We furthermore determine changes in cellular sensitivity towards various cytostatic drugs upon pre-treatment of cells with ascorbate. We demonstrate higher therapeutic efficacy of ascorbate over DHA in various cell lines, independent of cell line-specific differences in ascorbate sensitivity, and identify the extracellular generation of H2O2 as critical mechanism of ascorbate action. We furthermore show that, in addition to pro-apoptotic effects described previously, ascorbate treatment already at concentrations well below the IC50 exerts anti-proliferative effects on tumor cells. Those are based on interference with the cell cycle, namely by inducing a G0/G1 arrest. Pre-treatment of tumor cells with ascorbate leads to increased cellular sensitivity towards Docetaxel, Epirubicin, Irinotecan and 5-FU, but not towards Oxaliplatin and Vinorelbin. For Docetaxel and 5-FU, a linear correlation between this sensitizing effect and the ascorbate dosage is observed. The redox-active form of vitamin C, ascorbate, shows therapeutic efficacy in tumor cells. These antitumor effects of ascorbate are mainly based on its extracellular action and, in addition to the induction of apoptosis, also include an anti-proliferative effect by inducing cell cycle arrest. Furthermore, ascorbate treatment specifically enhances the cytostatic potency of certain chemotherapeutics, which implicates therapeutic benefit during tumor treatment. The online version of this article (doi: 10.1007/s00280-010-1418-6) contains supplementary material, which is available to authorized users. Ascorbate (vitamin C) is an essential nutrient acting as anti-oxidant and co-factor for various enzymes. The effects of ascorbate on tumor cells and in tumor therapy, however, are controversial since studies by Cameron and Pauling reported that high amounts of ascorbic acid prolonged the life of terminal cancer patients , while trials performed by the Mayo Clinic could not confirm these results [12, 30]. Because of new insights into the pharmacokinetics of intravenous and oral vitamin C applications, the role of intravenous ascorbic acid in cancer treatment had to be newly assessed . Oral ascorbate produces concentrations in plasma and tissue which are tightly controlled (<0.2 mM), while pharmacological concentrations of ascorbate in plasma (≫0.2 mM), which may lead to tumor cytotoxicity, can only be achieved by parenteral administration. Furthermore, there is some scientific debate regarding the therapeutic relevance and efficacy of ascorbate versus dehydroascorbate ([15, 20, 26]; see below). At pharmacological concentrations, ascorbate exerts cytotoxic effects selectively on tumor cells due to the induction of hydrogen peroxide (H2O2)-dependent cytotoxicity after ascorbate exposure. The cellular consequences in malignant cells seem to be manifold. More specifically, ascorbate has been shown to influence tumor cells by interfering with iron uptake , by releasing apoptosis-inducing factor (AIF) from mitochondria , by increasing the expression of p53, p21 and cellular calcium, by decreasing the mitochondrial membrane potential and activation of caspase 3 [19, 28], by reducing the levels of hypoxia-inducible factor (HIF-1) thus leading to reduced myc-mediated tumorigenesis , by the inhibition of cyclooxygenase-2 (COX-2) expression and the modulation of insulin-like growth factor II (IGF-II) production  and/or by caspase-independent autophagy . It is noteworthy that some of these effects are mediated, at least in part, by the redox-state of the cell [29, 37], and although Lin and colleagues reported a reduction in the level of reactive oxygen species (ROS) of ascorbate-treated cells , the majority of data supports the notion that the basis of tumor cytotoxicity may also rely on the generation of H2O2 [9, 14]. During the extracellular production of H2O2, ascorbate is oxidized to dehydroascorbate (DHA), and accumulates especially in tumor cells upon facilitated DHA uptake by glucose transporters (GLUTs) and intracellular reduction to ascorbate [3, 32, 39, 40]. Despite this efficient internalization, only limited information about the cytotoxicity of DHA on tumor cells is available. In order to evaluate the efficacy of ascorbate compared to DHA, we determined and directly compare in this study the IC50 values of both redox states of vitamin C for different tumor cell lines. The results of three recent tumor xenograft studies also demonstrated that pharmacologic doses of ascorbate, which are achievable in humans through i.v. application , may have potential for therapy in cancer [8, 11, 14]. Still, although these preclinical data in animal models showed a significant reduction of tumor growth, the use of pharmacologic ascorbate as a single agent was not curative. These results suggest that, rather than ascorbate single treatment, the combination of pharmacologic ascorbate with other therapies deserves further exploration for treatment of cancers, and emphasize that a future trend may lie in combination of ascorbate with chemotherapeutics . Based on the anti-oxidant role of ascorbate and in the light of previous publications, however, the effects of ascorbate on chemotherapy remain very controversial. While some studies suggest that ascorbate may increase the effects of some antineoplastic agents including arsenic trioxide [13, 18], Doxorubicin, Cisplatin and Paclitaxel in human breast carcinoma cells , 5-FU and Cisplatin in esophageal cancer cell lines  and 5-FU in mouse lymphoma cells , other scientists assume the contrary . More specifically, Heaney et al. found antagonistic effects upon pre-treatment of tumor cells with DHA, with dose-dependently decreased cytotoxicity of various antineoplastic agents in vitro and in vivo. In this study, an only modest effect on intracellular ROS was observed. Since DHA, as described above, is the commonly transported form of vitamin C via facilitated transport prior to being reduced to ascorbic acid and trapped intracellularly, they conclude that vitamin C supplementation may exert adverse effects during cancer treatment . On the other hand, ascorbate effects on tumor cells have been linked to extracellular rather than intracellular ascorbate [9, 10]. Thus, the aim of the second part of this study was to analyse if ascorbate in pharmacological concentrations affects the efficacy of antineoplastic agents in prostate carcinoma cells. To this end, we used 5-FU which had already been tested previously in other cell lines regarding the ascorbate dependence of its cytostatic effect [1, 23, 31] and furthermore included a set of chemotherapeutic reagents which are based on different modes of action, i.e. the topoisomerase inhibitor Irinotecan, the anti-mitotic drugs Docetaxel and Vinorelbine, the anthracycline Epirubicin and the platinum Oxaliplatin. Cell lines were obtained from the American type culture collection (ATCC/LGC Promochem, Wesel, Germany) and cultivated under standard conditions (37°C, 5% CO2) in IMDM (PAA, Cölbe, Germany) supplemented with 10% fetal calf serum (FCS) unless indicated otherwise. Ascorbate (Pascorbin® solution for injection) was provided by Pascoe, Giessen, Germany, and DHA and catalase were purchased from Sigma (Deisenhofen, Germany). For the determination of ascorbate/DHA effects on cell viability, cells were seeded in 96 well plates at 1 × 104 cells/well in serum-containing medium. The next day, cells were treated, in the absence or presence of 100 μg/ml catalase, with ascorbate or DHA at the concentrations indicated in Figs. 1 and 2 in serum-free medium. After 24 h, the medium was changed again and the cells were cultivated for further 48 h in IMDM/10% FCS medium. The numbers of viable cells in eight wells were then determined using a colorimetric assay according to the manufacturer’s protocol (Cell Proliferation Reagent WST-1, Roche Molecular Biochemicals, Mannheim, Germany). For the determination of apoptosis, 3 × 105 cells/well were seeded in a sixwell plate and treated with ascorbate or DHA in serum-free medium as described above. Caspase-3/-7 activity was determined 24 h after treatment start unless stated otherwise, with Ac-DEVD-AMC (BD PharMingen) as substrate. Cells were harvested in 300 μl lysis buffer [50 mM Tris/HCl, pH 7.4, 150 mM NaCl, 2 mM MgCl2, 10 mM DTT, protease inhibitor-cocktail set III (Calbiochem/EMD Biosciences)], and the lysates were sonicated in an ultrasonic bath for 5 min prior to centrifugation. 40 μl supernatant was transferred to white walled 96 well plates, the reaction was started by adding 10 μl substrate solution (10 mM Ac-DEVD-AMC (Acetyl-Asp-Glu-Val-Asp-7-Amino-4-methylcoumarin) stock solution in DMSO, dissolved in 500 μl PBS) to a final concentration of 40 μM Ac-DEVD-AMC and measured after 60 min using a FLUOstar OPTIMA microplate reader. In parallel, total cell numbers after treatment under identical conditions as described above were determined by WST-1 assay, and readings from caspase-3/-7 measurements were normalized for cell densities. Studies of anchorage-dependent proliferation were carried out essentially as described previously  in the presence of IMDM/10% FCS. Cells were seeded in 96 well plates at 1.5 × 103 cells/well, and the next day the medium was changed to fresh serum-containing medium supplemented with 0, 0.1, 0.3 or 1 mM ascorbate. At the time points indicated, the numbers of viable cells were determined by WST-1 as described above. For cell cycle analysis, 1.5 × 105 cells were seeded in sixwell plates and treated as described above. 24 h after treatment start, cells were harvested and fixed in 70% ethanol in PBS for 1 h on ice, incubated with 50 μg/ml RNase A at 37°C overnight, stained with 50 μg/ml Propidium iodide and subjected to flow cytometric analysis using FACSCalibur. For the determination of cellular sensitivity towards cytostatics, DU-145 cells were seeded in 96-well plates at 4 × 103/well 1 day prior to pretreatment with 0, 1 or 2 mM ascorbate in serum-free medium for 24 h as described above. The medium was then changed again for serum-containing medium + cytostatics at the concentrations detailed in Fig. 3. After 48–72 h, the number of viable cells was determined by WST-1 as described above. Each experiment was performed in triplicates or quadruplicates for every time point/concentration. All curves represent an overlay of at least three independent experiments, with errors bars depicting standard errors of the mean (SEM). Curve fitting was performed using SigmaPlot and the 4 parameter Hill equation . In initial experiments, we assessed the ascorbate sensitivity of various tumor cell lines from different tumor entities. While ascorbate dose-dependent effects on the cells were observed in all cell lines (see Suppl. Fig. 1B for two representative examples), the sensitivities towards ascorbate varied between different cancer cell lines which is reflected by IC50 values in the range of 1.7 to >60 mM (Suppl. Fig. 1a). For the direct comparison between ascorbate and DHA effects, carcinoma cell lines LS174T (colon), SKOV-3 (ovarian), DU-145 (prostate) and A549 (breast) were selected and treated with various amounts of the compounds as indicated in the Fig. 1. Variations observed between different cell lines were seen regarding the ascorbate sensitivity, but not for DHA. More importantly, independent of these variations cells were considerably less sensitive towards DHA as compared to ascorbate in all experiments, with DHA IC50 values between 12.7 mM (DU-145) and 14.9 mM (LS174T) and profound inhibitory effects being observed only at 30 mM DHA. When comparing the different cell lines no direct correlation between ascorbate and DHA sensitivities were observed, i.e. high sensitivity towards ascorbate did not translate into higher sensitivity towards DHA and vice versa (compare e.g. Fig. 1a vs. d). It should also be noted that, while the assessment of DHA effects at 100 mM was not possible due to poor solubility, the pH indicator in the medium changed its color already at 30 mM indicating some medium acidification by DHA which may add to its cytotoxicity and thus the over-estimation of DHA anti-tumor effects. Notably, this effect was not observed for ascorbate. We also confirmed the stability of ascorbate under comparable experimental conditions by detecting >99% ascorbate after 24 h (data not shown). Taken together, despite its more efficient uptake , tumor cells are significantly less sensitive towards DHA as compared to ascorbate. To gain some more insight into the mechanistic details of ascorbate cytotoxicity, LS174T cells were treated as described above in the presence or absence of 100 μg/ml catalase. Treatment of the cells with catalase largely prevented ascorbate-mediated cytotoxicity, as indicated by a >30-fold shift of the ascorbate dose–response curve to the right (Fig. 2a). In contrast, no effects of catalase on dehydroascorbate cytotoxicity were observed (Fig. 2b). The comparison between Fig. 2a and b also revealed that the addition of catalase during the treatment quenched the ascorbate cytotoxicity even below dehydroascorbate effects. Identical results were obtained in SKOV-3 cells (data not shown). From these data we conclude that the effects of ascorbic acid are the result of the extracellular generation of hydrogen peroxide, which is destroyed in the presence of catalase. For subsequent experiments, DU-145 prostate carcinoma cells were selected as representative tumor cell line. To assess the effects of ascorbate at concentrations below the IC50 in more detail, proliferation assays were performed. Under subconfluent conditions, untreated DU-145 cells showed an exponential growth curve over at least 5 days in the presence of serum, which was indistinguishable from the cellular proliferation in the presence of 0.1 or 0.3 mM ascorbate. Notably, however, upon addition of 1 mM ascorbate, which is still fivefold below the IC50 in this cell line, tumor cell growth curves were markedly reduced (Fig. 3a). To analyse whether this reduction in the number of viable cells was due to increased apoptosis or reduced proliferation, or both, we determined ascorbate effects on cellular apoptosis by measuring the activity of caspase-3, which is the mutual/shared effector caspase of both caspases-8/-10 (TNF/TRAIL/Fas ligand pathway) and caspase-9 (stress/DNA damage-induced cytochrome C release). When the cells were treated with ascorbate for 24 h under serum-free conditions, an ascorbate-induced increase in caspase activity was observed (Fig. 3b). While this effect was ascorbate dose-dependent, it was only moderate with a maximum ~1.5-fold increase at ascorbate concentrations above the IC50. Similar effects were observed upon treatment of the cells with DHA, although cells appeared again to be less sensitive towards DHA as compared to ascorbate (note the absence of an induction of apoptosis at 1 mM DHA). To monitor the time course, cells were treated with ascorbate for only 4 h. A slight (~1.2-fold) induction of apoptosis was observed which was most profound at 2–4 h after the end of the treatment and decreased again thereafter. In contrast, no induction of apoptosis was observed in the presence of serum (data not shown). Next, we determined ascorbate effects on the cell cycle. When proliferating cells were treated with 1 mM ascorbate, which was the concentration leading to an efficient reduction in the number of viable cells (see Fig. 3a), marked changes in the cell cycle distribution were observed. More specifically, the percentage of the cells in G0/G1 phase increased from 40 to 56% upon ascorbate treatment, with a corresponding decrease of the number of cells in the G2/M phase (Fig. 3c). The detection of these changes did not require synchronization of the cells, but in nocodazole pre-treated cells similar results were observed (data not shown). When cell cycle data were analysed for sub-G0/G1 peak levels representing the number of cells which display a late-stage cell death phenotype, a ~2.5-fold increase was observed upon ascorbate treatment (Fig. 3d). Taken together, these data show that anti-tumor effects of ascorbate in vitro rely on an increase in apoptosis as well as effects on cell cycle, i.e. an increased percentage of cells in the quiescent state in the presence of ascorbate. Since ascorbate would be hardly used in a single treatment protocol in cancer therapy and could be more promising in combination with established cytostatics, we next assessed the effects of ascorbate pre-treatment on cellular sensitivity towards cytostatic drugs. To this end, cytostatic drugs were selected which are used in prostate carcinoma therapy and cover different mechanisms of action. Assays of anchorage-dependent proliferation revealed the inhibition of DU-145 cell proliferation starting at Docetaxel concentrations above 1 nM with the IC50 being 10 nM (Fig. 4a). Remarkably, this dose–response curve shifted significantly, to ~threefold lower Docetaxel concentrations (IC50 = 3.5 nM), upon pretreatment of DU-145 cells with 2 mM ascorbate 24 h prior to addition of Docetaxel. The comparison with cells pre-treated with 1 mM ascorbate also revealed that the increase in cell sensitivity towards Docetaxel (IC50 = 6.7 nM) is ascorbate dose-dependent (Fig. 4a). Likewise, ascorbate pre-treatment led to increased sensitivity towards Epirubicin. Here, a shift of the dose–response curves towards >2.5-fold lower Epirubicin concentrations was already observed for 1 mM ascorbate (IC50 0.26 mM vs. 0.10 mM), with no further increase in sensitivity at higher ascorbate concentrations (Fig. 4b). In contrast, no effects of ascorbate pre-treatment were observed on cellular sensitivities towards Oxaliplatin or Vinorelbin (Fig. 4c, d). Independent of ascorbate, cytotoxic effects started above 1 μM Oxaliplatin with the IC50 being ~8.5 μM, or above 0.1 μM Vinorelbin (IC50 ~ 0.9 μM). Likewise, Irinotecan IC50 values were not markedly altered (11.2, 10.5 and 10.3 μM for 0, 1 and 2 mM ascorbate pre-treatment, respectively). However, while Irinotecan did not result in 100% cell death even at highest concentrations (1,000 μM), ascorbate pre-treatment further decreased the number of viable cells, thus enhancing the maximum cytotoxic effect of Irinotecan (Fig. 4e). Finally, >twofold increased sensitivities upon ascorbate pre-treatment were observed towards 5-FU, as indicated by the shift of the dose–response curves to the left. This ascorbate effect on cell sensitivity was again dose-dependent with IC50 values for 5-FU being decreased from ~9.0 to 6.5 μM or 4.0 μM upon pre-treatment with 1 or 2 mM ascorbate, respectively (Fig. 4f). To analyse the dose-dependence in more detail, IC50 values were correlated to the concentrations of ascorbate pre-treatment. For both cytostatics, 5-FU and Docetaxel, a direct linear correlation between the dose–response curves, as defined by the IC50, and the ascorbate concentration was observed (Fig. 4g, h). In this study, we show anti-tumor effects of ascorbate in vitro and, through the direct comparison with DHA, we demonstrate that ascorbate effects are much more profound. Since DHA is taken up by cells more readily due to facilitated transport through the glucose transporters, mainly GLUT1, and is then intracellularly reduced with the ascorbate being trapped intracellularly [39, 40], this also shows that the anti-tumor effects rely on extracellular rather than intracellular ascorbate. This is supported by our experiments which demonstrate the inhibition of ascorbate cytotoxicity upon addition of catalase, thus identifying extracellular H2O2 formation as critical step. Also, this conclusion is in line with previous publications which have shown that ascorbate-induced cell death in vitro and anti-tumor effects in vivo are dependent on extracellular H2O2 formation [9, 10], while the effects of DHA on intracellular ROS (despite superior uptake; see above) are only moderate . High extracellular ascorbate concentrations are consequently a prerequisite for selective tumor cytotoxicity, which does not appear to be fulfilled in the case of DHA. Pro-apoptotic effects of ascorbate have been described previously (see e.g. ) and are confirmed in this paper. The determination of increased caspase activity in this study, however, may rather underestimate pro-apoptotic effects since it has been shown that ascorbate also induces caspase-independent necrotic cell death [14, 33]. The presence of caspase-independent effects in the case of ascorbate may also explain why caspase activation is comparable between ascorbate and dehydroascorbate while cytotoxic effects are not. This notion is further supported by the fact that the assessment of sub-G0/G1 peak levels, representing the number of cells which display a late-stage cell death phenotype, revealed a more profound increase upon ascorbate treatment. More interestingly, in addition to the induction of apoptosis we observe inhibitory effects on tumor cells which are based on decreased cell proliferation. We show that ascorbate, already at concentrations well below its IC50, interferes with the cell cycle by inducing a G0/G1 arrest. To date there is only limited evidence in melanoma and Raji cells with regard to the consequences of ascorbate on cell cycle, suggesting that ascorbate in low concentrations (0.05–0.2 mM) inhibits the proliferation by inducting growth arrest in a dose-dependent manner without cytotoxic effects, while higher concentrations (2–16 mM) seem to cause both cell cycle arrest and apoptosis, and still higher concentrations result in necrosis [4, 19, 28]. Our studies confirm the anti-proliferative effects of ascorbate for a tumor entity with high incidence rate, i.e. prostate carcinoma, and demonstrate that these effects require only ascorbate concentrations well below the IC50. Furthermore, our data establish that pre-treatment of tumor cells with ascorbate increases their sensitivity towards certain cytostatics. The fact that this is true for Docetaxel, Epirubicin, Irinotecan and 5-FU, while IC50 values for Oxaliplatin or Vinorelbin remain unchanged, emphasizes the specificity of this effect with regard to the choice of the cytostatic drug and its mode of action. While in the case of all ‘ascorbate-sensitive’ drugs the mechanism of action seems to be mainly related to interfering with DNA-/RNA synthesis and/or inhibition of cell cycle progression, the precise basis of the specificity of this ascorbate effect for certain cytostatics remains to be elucidated. This is particularly true since Docetaxel, but not Vinorelbin sensitivity is affected, despite the fact that both drugs act on microtubule (although at different steps in microtubule formation/breakdown). There is no correlation between ‘ascorbate sensitivity’ and the drugs being a p-glycoprotein substrate (Docetaxel, Epirucibin, Vinorelbin, Irinotecan) or not (Oxaliplatin, 5-FU) [27, 38], and thus our data already firmly exclude an effect of (changes in) p-glycoprotein as underlying mechanism. This is important since in many cases increased resistance of tumor cells is due to p-glycoprotein overexpression . The comparison with the data from Heaney et al. demonstrate that the cellular localization as well as the dosage of ascorbate appears to be crucial for the determination of synergistic/antagonistic effects of an ascorbate + cytostatic combination: while DHA, which is readily internalized by the cells, was shown to display antagonistic effects , pretreatment with ascorbate, which acts extracellularly as a pro-oxidant, leads to increased sensitivity towards several antineoplastic drugs (see our data; [1, 13, 18, 23, 31]). Also, while Heaney used DHA in concentrations between 0 and 750 μM, comparable to physiological and supraphysiological blood levels after oral supplementation, we applied pharmacological concentrations in the low millimolar range (1-2 mM), which require i.v. injection. Furthermore, the fact that Heaney et al. used leukemia cells is noteworthy since it is known that some leukemia cell lines display growth stimulation in the presence of ascorbate. These proliferative effects clearly depend on the ascorbate concentration, with physiological and subphysiological ascorbate concentrations stimulating proliferation, while pharmacological ascorbate concentrations in the mM range exert anti-proliferative effects [5, 35, 36]. 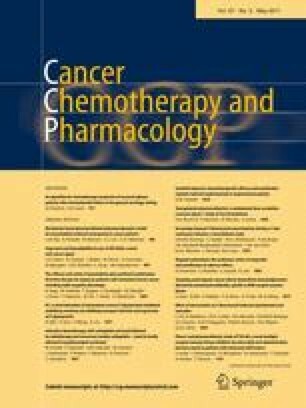 Thus, the determination of possible synergistic effects with chemotherapeutics needs to include the tumor entity (solid or haematological) as well as the concentration (physiological or pharmacological) and redox state (ascorbate or DHA) of vitamin C.
While our data support the notion that ascorbate at pharmacological concentrations may be beneficial during cancer treatment, this would require i.v. injection, and caution is warranted regarding whether or not sufficient concentrations are achievable and regarding renal function, since oxalate calculus and renal failure are known and accepted contraindications for intravenous ascorbate. However, the tolerability of high-dose intravenous ascorbate is documented in a dose-finding phase I and pharmacokinetic study in 24 patients with advanced untreatable cancer. A dose of 1.5 g/kg body weight, three times weekly, appeared to be safe and free of important toxicity . Taken together, by the direct comparison of ascorbate and DHA we demonstrate that tumor cell cytotoxicity requires the application of ascorbate in mM concentrations and that ascorbate effects rely on the generation of H2O2 (and perhaps other ROS). Still, although preclinical data in animal models showed a significant reduction of tumor growth, the use of pharmacologic ascorbate as a single agent was not curative. In the light of these findings, our and previous data demonstrating increased efficacy of cytostatics already at ascorbate concentrations in the low mM range deserve attention. While the potentiation of cytostatic effects is only threefold and ascorbate cytotoxicity will also be dependent on the tumor microenvironment e.g. regarding free metal ions, this will be worthwhile to be further explored in vivo. This is particularly true since a threefold reduction in the IC50 of an antineoplastic agent is most likely relevant in cancer treatment because of the high general toxicity of these agents, which are often dose-limiting or the reason for interruption of chemotherapy. We are grateful to Andrea Wüstenhagen for expert technical assistance, and to Dr. Udo Bakowsky for helpful support. This work was in part supported by funding from Pascoe pharmazeutische Präparate GmbH, Giessen, Germany, where C.V. and G.W. are employed.